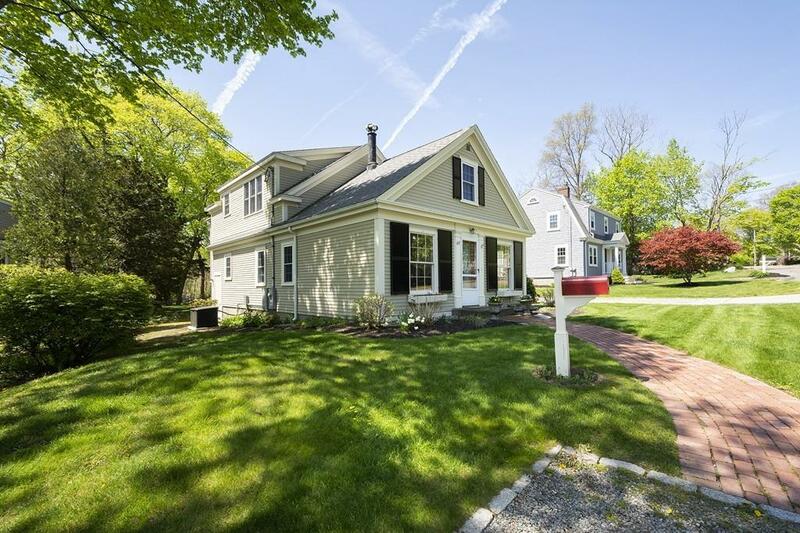 Highly sought-after Cohasset Village location! This picture perfect home has been thoroughly renovated featuring modern updates and upgrades, yet keeping its Cohasset charm. The newly renovated chefâs kitchen has granite, stainless appliances, and opens to the family room. The flexible floor plan includes a formal living room with fireplace, dining room, office, and full bath on the first floor. The second level has three bedrooms, a full bath, and a separate inlaw or master suite with private bath, sitting area, separate entry - Air B&B potential. The private backyard is professionally landscaped with a large patio, firepit and gardens. Town sewer, gas, whole house generator, pellet stove, ample closets and storage. Minutes to MBTA. This home is in the heart of Cohasset Village, steps to top rated schools, library, playgrounds, town pool, Farmerâs Market, Sandy Beach, Harbor, Music Circus, South Shore Art Center, shopping, restaurants & more. Just in time to enjoy Summer in Cohasset!